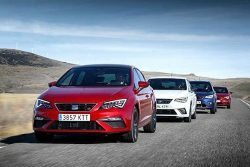 SEAT has declared its commitment toward a reduced environmental impact by expanding the role of Compressed Natural Gas (CNG) in its fuel mix. 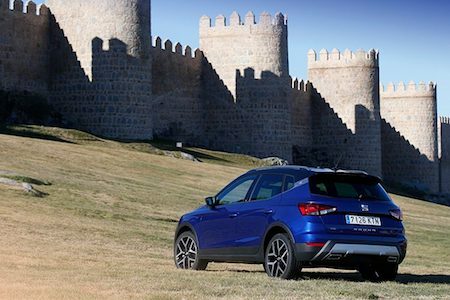 Already the brand has one of the most comprehensive CNG ranges, including the Mii Ecofuel, Ibiza TGI, Arona TGI and Leon TGI, offering a vehicle to meet every customer’s needs. CNG is an affordable, reliable and ready to go sustainable alternative to conventional combustion fuels such as petrol and diesel, offering emissions and cost reductions. The European CNG network is expanding rapidly, with SEAT selling natural gas vehicles (NGVs) in markets including Spain, Italy and Germany, among many others. 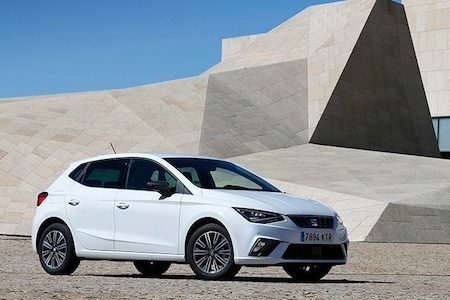 Each vehicle has been designed and developed at SEAT’s headquarters in Martorell, and represents a further step in the firm’s vehicle development programme, showcasing the benefits of using CNG as the primary fuel, a fuel that offers a reduced environmental impact, but doesn’t diminish driving pleasure. And vehicle and maintenance costs of the TGI models are virtually the same as an equivalent Diesel model. SEAT is also supporting the development and availability of renewable biomethane (RNG), which neutralises CO2 emissions generated through vehicle use. Only a pure electric vehicle running on 100% renewable energy would offer a better overall outcome. SEAT’s decision to increase mileage in CNG mode rather than petrol has come as a result of the demand by SEAT customers who currently use a CNG vehicle. The Mii Ecofuel, the Ibiza TGI and the Arona TGI use tanks made of high-strength steel, while the SEAT Leon 1.5 TGI EVO is fitted with a combination of one high-strength steel tank, which is smaller and located ahead of the rear axle – and two new large tanks located behind the rear axle, that are manufactured in a carbon fibre composite construction, significantly reducing their weight and optimising weight distribution. SEAT’s comprehensive CNG vehicle line-up, selling vehicles in several markets, makes it well positioned to grow the technology’s reach. Expanding CNG usage will not only reduce our environmental impact and give customers fuel price savings, but do so with vehicles that provide the most driving enjoyment.